"500 million+ members | Manage your professional identity. Build and engage with your professional network. Access knowledge, insights and opportunities.". On LinkedIn, it is not only "OK" to talk about business; LinkedIn is all about business. People use it to land a high paying job or become a board member. You can use this huge network of professionals to make meaningful connections and generate laser targeted leads for your firm or business. Most LinkedIn users do not know all the features of this network, how it works and how to use it to its full potential. LinkedIn started as some kind of job network. That's why a lot of LinkedIn users have a profile that looks like a resume. This might be a good idea if you are in the job market but even then, the "resume approach" is not ideal. And if you want to generate leads, meaning you are interested in people that want to connect with you and who want to hear about your business then there are more efficient ways to organize and word your profile. "What is in it for me?" The visitor is not particularly interested in you. He or she is interested in him or herself. Give the visitor what he/she wants and they are willing to talk to you. Try to show off with how good you are and you will never meet them. That brings us to the first step on what we do: Define exactly who your ideal client is. Before you can reach your ideal client or customer you have to define what you are looking for and then comes the second step: Optimize your LinkedIn profile. Once your profile is optimized we can start to show it off so to speak. Here is what we do: visit profiles of people that exactly match your ideal client. Their curiosity will get a hold of them and they will wonder: "Who is that person, that is visiting my profile?". So, they'll turn around and check out your profile, which is now precisely optimized and shows them exactly what they are looking for. They desperately need what you offer and naturally they will want to connect with you. At that point you have a person who wants to connect with you and who already knows that you are valuable. Now you send them a message that is a little intriguing and that starts a nice conversation (actually we do that for you). You are not "cold-calling" this person. Far from it. This person knows you and originated the connection. Big difference. After a casual exchange of messages or emails you have qualified the prospect enough to make it worth your while to schedule a phone appointment and off you go into your usual selling process with a warmed up lead that "found you", knows that you are the expert (they read your profile, checked out your professional connections, maybe even read an article or two that they found on LinkedIn that you published) and selling to this person becomes a piece of cake. We use LinkedIn to search for your ideal client and originate targeted connection requests. Just visiting profiles and waiting for them to connect is a little passive so to make it more active and speed things up a little we also originate connection requests on your behalf. Usually we do 50 - 100 connection requests per work day. These number are well below what LinkedIn allows, provided you have a professional account or a Sales Navigator account. How many leads will we generate for you? We are going to generate 100 leads* per month for you. These are targeted connections with your ideal clients or customers. As soon as a connection has been established we are going to work on starting a dialog. Some lead may already request an appointment right away and other need more time and communication. The communications will come in as LinkedIn messages, emails or phone calls and as described earlier, these leads are highly targeted and far more interested compared to a lead that comes in through a search engine. These leads already had a few interaction points with you. They did not learn about you or your company or firm two seconds ago. If the lead came through the system that I just described they have already known you for a few days and sometimes even a few weeks or longer. The follow-up messages are worded in a way to really provoke a dialog. These leads express the desire to talk to you. First we help you define your ideal client. In some cases this is obvious and in some cases this can be quite a challenge but it needs to be done. First we optimize your profile to communicate to your ideal client or customer. Your customer is going to find what he or she needs and is going to be eager to connect with you. Once your profile is optimized we visit profiles that match your ideal client. This is going to create curiosity and they are going to check out your profile in return and many are going to want to connect with you. We also originate connection request with your ideal client. Not all will accept the request but many will do so. Once a connection is established we are going to send a follow-up message that is worded a little intriguing and that will start the dialog. You are going to get people explicitly asking to communicate with you via email or via phone. We can also contact your existing connections on your behalf so as to provoke a dialog. You are also going to get monthly reports that show you exactly what we have done. Everything we do is within LinkedIn's stringent policies. Can I pick the niche or profession that will be targeted? Yes, you are telling us who your ideal client or customer is. We are only going to target what you want. Are the geographic areas covered with lead generation are chosen by me? Absolutely. You are going to tell us which geographic areas you would like to to target and we only target those areas. What are the conversion rates? That depends on many factors. We target your ideal client or customer, optimize your profile and send tailor made messages to new connections. Whether you close 1 out of 10 leads or one out of 5 leads depends on you and your skills. It's not possible to guarantee appointments or sales as there are too many variables. Therefore, we measure our work in new targeted connections established. One lead is defined as one targeted connection. We usually offer a package with 100 leads. No worries, you do not have to follow up with all of them - that is what we do. connections we usually get about 5% to 10% that explicitly say that they want to talk to you about your products or services. It could be more but we prefer to promise less and deliver more. 100 targeted connections would be about 5 to 10 interviews or appointments per month. This does not happen overnight. It usually takes 60 days until everything runs smoothly. We can deliver 100 targeted new connections per month per LinkedIn account. resulting from this so do not offer larger packages. completely different depending on your market and your products and services. We do guarantee the number of new targeted connections established per month. for at least three months so we offer a 3-months package. There is no set-up fee in that case. Please get in touch for pricing. * Definition: With 100 leads per month we mean targeted connection request. Even though we target the connection requests does not mean that all leads are matching your description of ideal client as LinkedIn's search capabilities while very good are far from perfect. In case we are not able to deliver those 100 leads per month we are going to continue to work free of charge until you have received your leads. How many of those leads are going to ask for more information or want an appointment with you depends on too many factors to make a precise prediction. 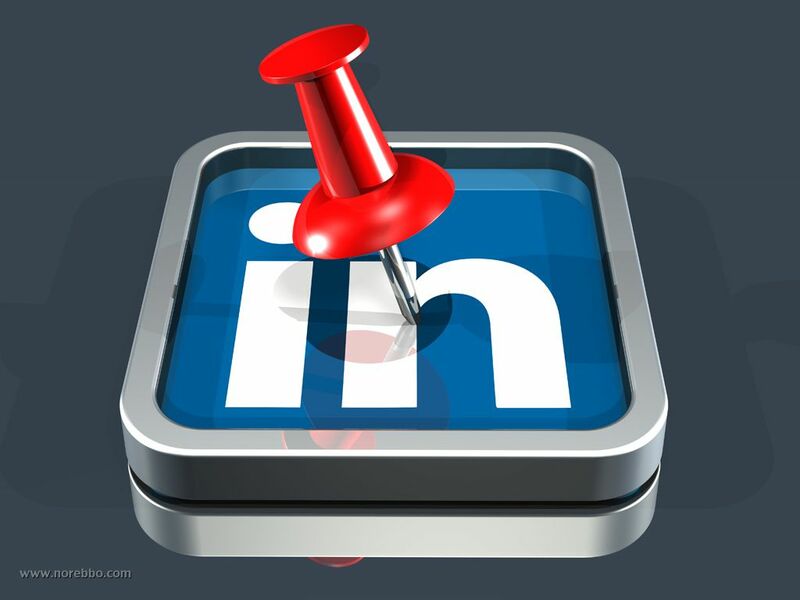 Idillo Inc. is not affiliated with LinkedIn, Inc. or the LinkedIn, Inc. service.